The Lifan Group, a Chinese motorcycle manufacturer has recently ventured into the car business, with their US$9,700 Lifan 520 sedan. A recent move has shown this is not just a one-off shot at making a quick buck, they are in it for the long haul. Yup, Lifan has actually purchased the Campo Largo engine plant in Brazil from DaimlerChrysler and BMW AG, who jointly own the factory. The Campo Largo factory in Brazil was built in the late 1990s and it employs the latest German and American technology to build 1.6 litre 16-valve Tritec engines. The Tritec engine is one of the most technologically advanced and fuel-efficient engines in the world. These 1.6 litre Tritec engines are used in the New MINI Cooper. They were also put into the Dodge Neon and the Chrysler PT Cruiser, though not anymore. 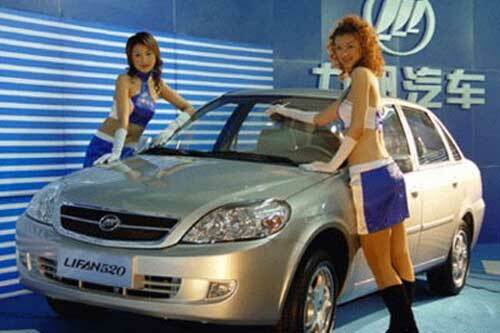 Now DaimlerChryslers share of the output is sold to Lifan, Chery and a Mazda-Chinese joint venture. In its day, it was one of the most advanced factories ever built. Developing such technology in China would be too expensive, so Lifan plans to buy the whole factory lock, stock and barrel, take it apart and ship it back in pieces. It will be re-assembled in China. It will be re-built on a vacant plot of land next to Lifans existing car assembly plant in Chongqing. A plant in Brazil was chosen because comparable plants in the USA would likely be blocked by technology export laws. Brazil has much slacker rules on this.